48" Round clear beveled glass top - $ 450 | Other sizes of glass top available. Shown in Chrome finish. Custom made in any finish. See metal samples. Offering many size and shapes for the table top, Diva really fits any size room. We love the finish. We like it all. 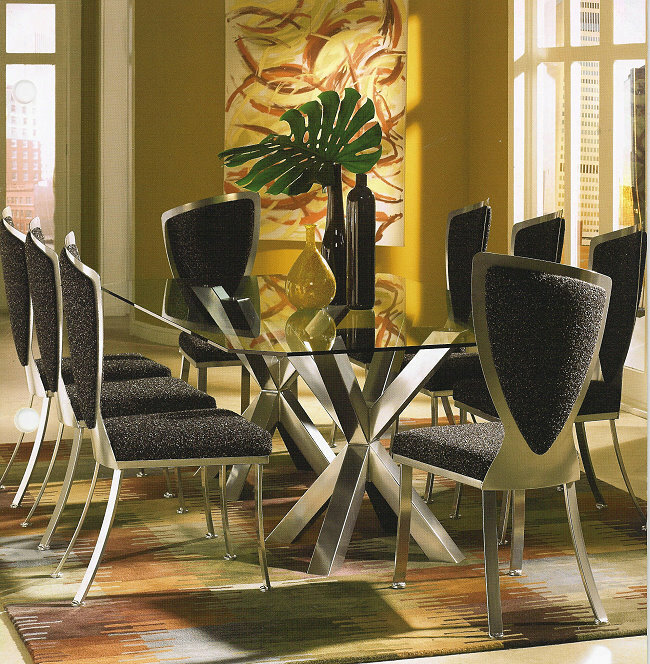 Diva Rectangular Dining table with two bases. 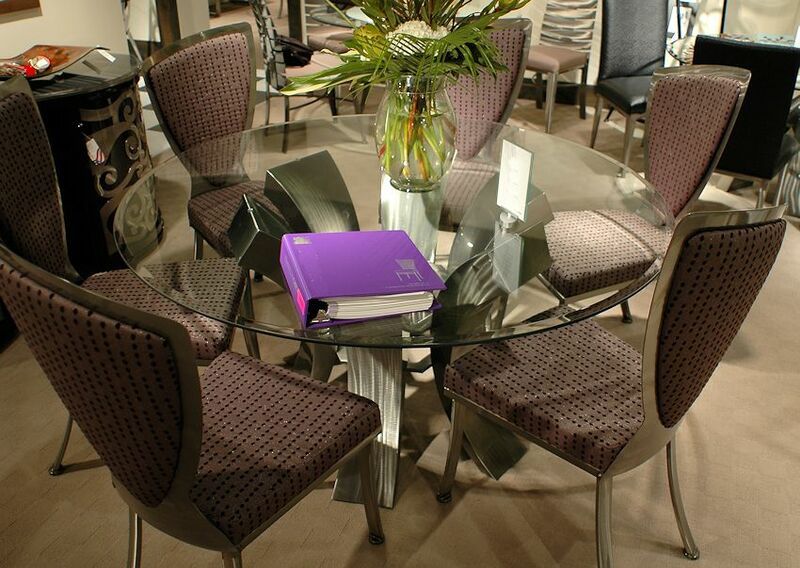 $ 550 - 60" diameter clear beveled glass top | Other sizes and shapes available. 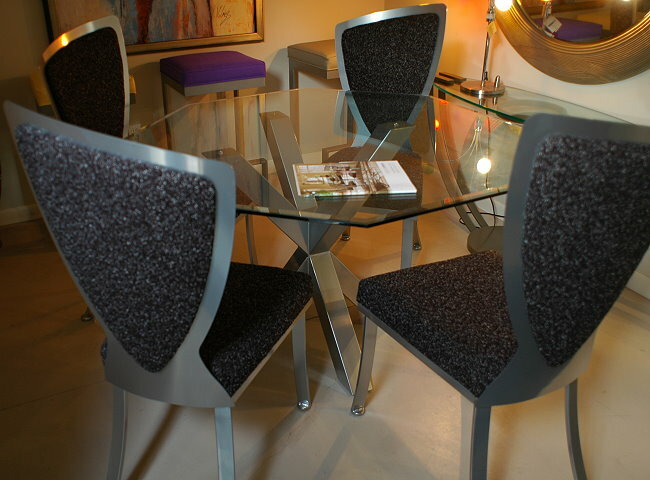 Beautiful new Matrix dining table shown with Diva chairs in Pewter Premium finish. 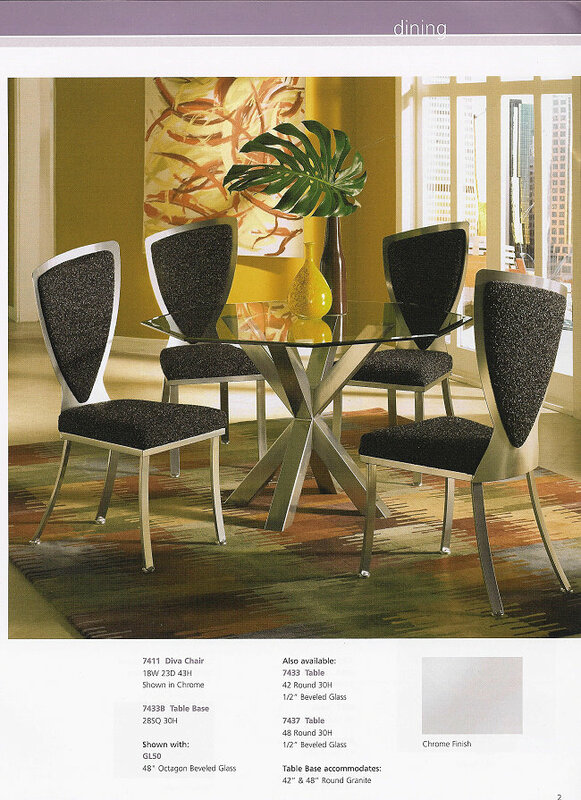 #7411 Diva Chair in Premium finish - $ 795 ea. Custom made in any finish. See color samples.